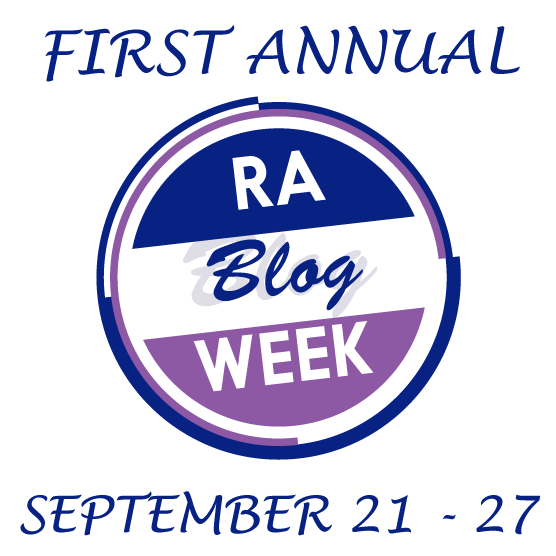 This past week a wonderful initiative was launched: RA Blog Week. Health blogger Rick Phillips organized this in an effort to promote cross reading of blogs, build awareness, and connect with others to share in their experiences of living with RA. Topics were assigned for each day throughout the week, and there were also wild card topics from which to choose if the daily topics did not appeal. I was a little late jumping on the bandwagon due to life, work, RA, other writing projects and rehearsals for a current show. I would have loved to have been able to participate on all seven days if time (and in some cases wellness) had allowed – but I was finally able to join in on this, the seventh day. The topic assigned for Sunday September 27th was: Great Blogs I Have Read. My other option, if I chose not to use this topic, was to choose one of the wild card topics. I decided to pool the wild card topic of “What in your life do you really enjoy” with “Great blogs I have read”. It made sense for me to do this because I love to read, I love to write and I love to connect with and share in the life experience of others. There are countless great blogs on arthritis – so many, in fact, there is no way I could highlight only one or two of them – instead I honour all the writers, bloggers, readers and everyday warriors who battle the pain and inflammation of arthritis. The blogs I have read and love are many – some of them are listed in my blogroll, but there are plenty of others I have discovered, and many voices I have yet to find. Over time, I hope to connect with those voices and add them to my list – we all have our own unique way of telling our story and managing life with disease, and those stories are valuable – they help us find our way whether we are reading them or writing them. I love to write and paint pictures with my words. My word play leads me to poetry, stories and writing about my own life. I also love to bring written pages to life with characters and stories in the world of theatre. I did this quite regularly until the arrival of RA – after RA, I was forced to take a break from the stage for a while, but I continued engaging in my passions by penning my own words. 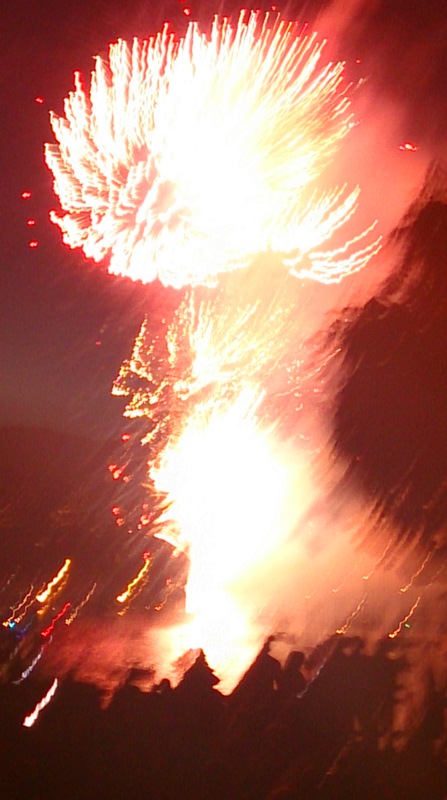 It took on a different form but I was able to continue with my creative life in the face of illness. In writing about my life with RA, I unearthed a hidden strength and determination, and worked hard to return to the stage. My passion for my creative life outweighed the inconvenience of my disease and allowed me to keep going – there were days, especially after rehearsal and/or performance when RA knocked me down – but I got back up because my creative life is worth the struggle. It gives me the motivation to keep living and adapting to life with chronic illness. I am grateful to my readers and all the brave wonderful people who fight this disease every day – whether or not you blog about it, whether you suffer quietly or loudly, whether you spread awareness or remain silent, your spirit and bravery is infectious and will keep you beautiful, strong and regal. My words are insignificant in the battle to stay well, but they are mine and they give me the strength to keep going. My wish is that everyone can find something to help them thrive even in the midst of illness. I believe within everyone there exists that tiny spark to ignite their own fire – and I look forward to seeing its vibrant blaze. Thank you to Rick (who has a “Great blog I have read”) for creating RA Blog Week, and all the wonderful bloggers who participated – I will always hear your voices in the ether world. I hope you are enjoying some quiet RA days. Hugs. Thank you. 🙂 I wish the same to you.I enjoyed catching up on your posts for RA Blog week. Stay well. Hugs.